The Southeast Homeschool Convention begins tomorrow, and I have six talks to give. I am excited to go, because the convention is organized by the same group that did the Midsouth Homeschool Convention two weeks ago, and it was a great success. My excitement partially gave way to disappointment, however, when I read Ken Ham’s blog entry from yesterday. Mr. Ham is a speaker at the same convention, but he is obviously upset at the fact that someone who disagrees with him will be speaking at the same venue. Then he gets really nasty. He claims that the speaker, Dr. Peter Enns, doesn’t have a Biblical view of the inspiration of Scripture and that his approach to Genesis and Romans will shock people. Since Mr. Ham has decided to rip into a well-educated scholar with a publication list that includes such important journals as the Westminster Theological Journal and the Journal of the Evangelical Theological Society, I thought it only right for another young-earth creationist (yours truly) to offer a different view. First and foremost, I do not agree with Dr. Enns’s view of the first few chapters of Genesis. For example, unlike Dr. Enns, I think the creation account is best taken as historical narrative. However, I recognize that the Christian church has never been unanimous in that assessment. As the post I just linked demonstrates, even Jewish theologians that lived during the time of Christ did not unanimously agree that the creation account should be taken as historical narrative! Thus, while I disagree with Dr. Enns when it comes to the creation account, I hesitate to call him a “compromiser.” I don’t think Clement of Alexandria (c. 150 – 215 AD), Athanasius of Alexandria (c. 293 -373 AD), Augustine (354-330), or Hilary of Poitiers (c. 300 – 368 AD) were compromisers, and they didn’t view the creation account as historical narrative, either. Second, Ken Ham is simply dead wrong when he claims that Dr. Enns doesn’t have a Biblical view of the inspiration of Scripture. Dr. Enns doesn’t have Ken Ham’s view of the inspiration of Scripture. However, he clearly has a Biblical view – one that just happens to be different from that of Ken Ham. All one has to do to see this is to read Dr. Enns’s seminal work, Inspiration and Incarnation: Evangelicals and the Problem of the Old Testament. In this book, Enns lays out an “incarnational” view of Biblical inspiration. He thinks that God entered the world of the Biblical authors and spoke to them directly, using stories and symbols to which they could relate. This is perfectly consistent with 2Timothy 3:16 and is therefore a Biblical view of the inspiration of Scripture. So, unlike Mr. Ham, I don’t think it is sad that Dr. Enns is speaking at the Southeast Homeschool Convention. In fact, I am thrilled to be able to share a venue with such a well-known Evangelical scholar, and I hope to be able to speak with him at length during the convention. I disagree with a great deal of what Dr. Enns says, but that’s what will make the conversation interesting! 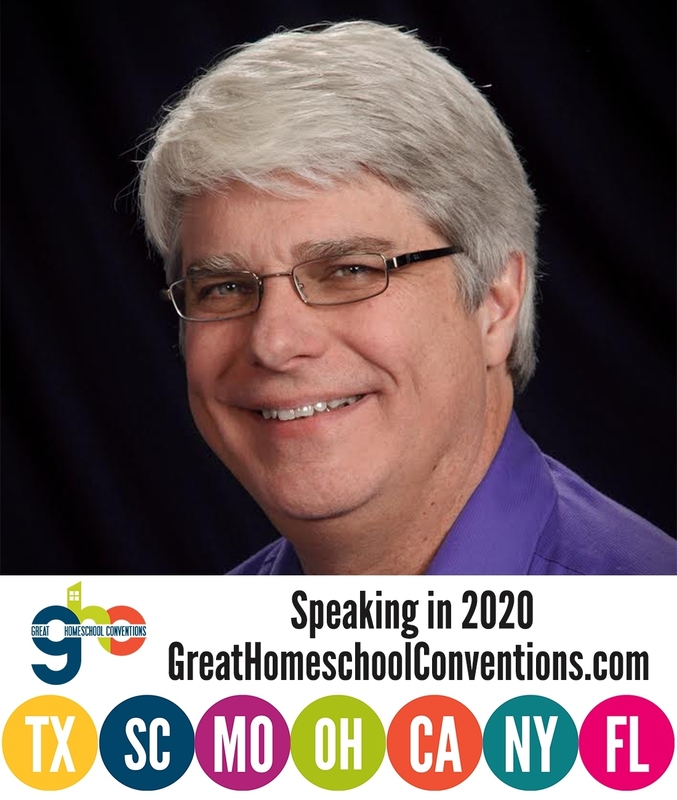 One of the reasons I am so excited to be a part of the four Great Homeschool Conventions this year is because of their diverse list of speakers. I don’t know of any other homeschool convention where you can hear such a broad range of Christian views. In my opinion, that alone is worth the price of admission! I am sorry you started this blog post. No, this wasn’t an opportunity for critical thinking. These discussions have done nothing to solve the problem, and we would have been better served if you had made your feelings know to Mr. Ham directly rather than to air them in a public forum such as this. Dpeel, many Christians have commented that they are GLAD that I made this post. In addition, I think it is important to publicly defend a brother in Christ when he is publicly attacked. Why didn’t you come to me personally to share your feelings rather than airing them in this public forum? Public Rebuke can be appropriate, scripturally speaking, when a Public Transgression has occurred. “…he is obviously upset at the fact that someone who disagrees with him will be speaking at the same venue.” No, he is upset that someone who disagrees with a literal interpretation of the Bible is being allowed to speak to and sell “Bible curriculum” to homeschoolers who are looking for biblical materials. Your statement is an example of the kind of leap you seem to be encouraging the rest of us not to make. I do not care nearly as much what a well-known scholar Dr. Enns is or what his publication list includes as I care whether his views line up with the inspired Word of God. For many of us, you have been a trusted name in the world of biblical homeschool curriculum. I am not surprised to see Dr. Ken Ham exposing Dr. Enns’ beliefs, but am very surprised to see you defending them. Amy, some homeschoolers find Dr. Enns’s materials Biblical. Are you saying that they don’t have the right to purchase what they see as a Biblical curriculum? I think it is clear from Mr. Ham’s post that he is upset that someone who disagrees with him was speaking at the same convention. I hope you do examine my books very closely, Amy. In the end, you will see that they are built on a very strong theology, and part of the strength of that theology is to not dismiss the views of others simply because they disagree with my own. You are also categorically wrong to say that I don’t take a stand on controversial issues. I have stated quite clearly exactly what I believe. You will see the same statements in my books. What I have also stated quite clearly is that Christians should obey Romans 14:1-9 and should treat their brothers and sisters in Christ with enough respect to at least avoid name-calling and false charges. If that’s not taking a stand, I don’t know what is. “Are you saying that they don’t have the right to purchase what they see as a Biblical curriculum?” No, I am saying that none of us has the time to stand at a convention booth and read through every page of a potential curriculum purchase, so it would be a wonderful blessing to be warned ahead of time that certain texts might contain what many of us would consider objectionable material before we waste our money, or, much worse, allow our little ones to be led astray by false teaching. Yes, I realize you don’t consider it false teaching, but to those of us who do, we simply appreciate being warned of the content. Dr. Ham didn’t go out and monitor the vendor hall and force people not to buy the materials, I assume. After reading through more comments and your responses, my question now, with all due respect, is this (and it’s a question, not an accusation, because I’m not claiming to know the answer): Are you truly interested in trying to determine what’s right and possibly even learn something from others leaving comments, or is your mind already made up that everything you’ve said is right and anyone who has another view is wrong? It would be a great thing to pray about. Amy, if you read through several comments and responses, you know I have no problem with Mr. Ham pointing out the problems he sees in Dr. Enns’s teachings. However, he should do it properly – without name calling and false charges. In this thread, I have already pointed out two people (Dr. Geisler and John Frame) who have done so. I am definitely interested in determining what’s right. That’s why I strongly advocate listening to all sides. Rather than trying to claim that one person shouldn’t be allowed to speak or write a Bible curriculum, I strongly encourage people to examine eveyrthing carefully and hold fast to that which is good (1 Thessalonians 5:19-21). Richard, I do not call anyone with an honorary degree “Dr.” Do you refer to Orlando Bloom as Dr. Bloom? He has an honorary doctorate. I was initially going to respond to your post to me, but somehow, it doesn’t seem important to me anymore. I think Amy’s post summarizes it up for many of us: 1) we are very concerned about how Dr. Enns’ view line up with Scripture, 2) we are not surprised by Mr. Ham’s response, but 3) we were very surprised at your response. As to the last two points, your criticism of Mr. Ham, juxtaposed to your support of Dr. Enns (defending him from Ham’s “name-calling” and “false charges”, commenting about how excited you were to speak with him in person, attend his seminars, read his books, featuring Dr. Enns on one of your blog posts, etc.) gives the impression that you actually SUPPORT his views. I know, I know, you have stated that you disagree with him in some areas. But the questions so many of us have: why so MUCH support? Why so MUCH press time? Why does it seem you are aligning SO closely with Dr. Enns in contrast to your own views of Scripture? Why did you feel the need to defend him? Isn’t he capable of presenting his own case? Doesn’t he have a public forum to voice his opposition to Mr. Ham’s comments? Dpeel, I would say that you are confused because you have not really read my textbooks very carefully. Another commenter has said that he sees the very same approach used in this blog post used in my books. I am a strong advocate of critical thinking. As a result, I encourage people to do what the Scriptures say and examine everything (1 Thessalonians 5:19-21). I encourage it in my books, and I encourage it in this blog. I always have and always will. If it weren’t for such critical thinking, I would not be a Christian today. As a result, it is very important to me. To imply that I am in agreement with Dr. Enns because I defend him against unwarranted name calling and false charges is clearly wrong. I defended him because he was wrongly attacked. Any brother in Christ deserves that. To imply that I am in agreement with Dr. Enns because I wrote two blog posts about him shows that you haven’t read this blog much at all. I blog about atheists I have read, pointing out the thoughts they have that I think are worth considering, and I don’t support them. I blogged about Dr. Alvin Plantinga (who holds an enormous number of views in common with Dr. Enns) twice, and I don’t agree with a lot of his theology. I have old-earth creationists, ID proponents, and even an atheist on my “links to investigate.” I clearly disagree with various amounts of their ideas. I do these things because I want to promote critical thinking among Christians. This focus on critical thinking is why my books are so good at training children in the sciences. It is also why I strongly appreciate the views of brothers and sisters in Christ with whom I disagree. As I said in this post, if nothing else, it helps me to root out any problems with my own views. Mr Wile, I do not believe that Christians should flaunt any sort of title, academic or otherwise. It seems contrary to Matthew 23:9-11. Even Paul refers to himself consistently as a servant of Jesus Christ. However when talking about someone who has been awarded such a distinction, pointedly refusing to accept that can only be considered an insult. In the context of promoting unity in the Church that is very much counter-productive. Doctor Ken Ham is certified as such by Temple Baptist College and Liberty University. Whatever your view on honorary degrees in principle, they can only confuse the already complex situation. At best denying such a title would create an appeal to Authority in emphasising the academic difference, an appeal that you have regularly stated your disdain for. Josiah, I appreciate your comment, but I disagree. First, I don’t see acknowledging a person’s credentials at all contrary to Matthew 23:9-11. That Scripture is telling us not to call someone “father” or “leader,” as God is our father and Christ is our leader. Referring to someone with his or her credentials has nothing to do with that. It merely acknowledges his or her education. Of course, this is why I also do not use honorary titles for anyone. An honorary title is not a certification. A certification tells you that someone has completed a course of study. An honorary degree does not do that. It does not represent any kind of credential. It is simply one institution saying, “We like this person.” That’s not a credential, and it does not warrant reference. Wow! Dr. Wile I can’t imagine you have ever has so many comments on one of your blog posts. The count is at 588 as I type this. That’s pretty impressive. What’s even more impressive is your ability to keep responding! Thanks, Keith. I am an educator. Thus, I feel compelled to attempt to educate people. I believe that we should acknowledge people’s credentials as a mark of acknowledgement for what they’ve done. I just don’t think that a Christian should flaunt their credentials as though they make them somehow superior. I have always read those verses to extend beyond the words Father and Rabbi. Instead it pertains to the attitude, such as that of the Pharisees, of wanting to be called Rabbi on the street. (see context). In some way it has echoes of the idea of the priesthood and equality of all believers. As such a master of theology should not presume to consider himself greater than the shepherd with the same faith in the same Lord and saviour. I understand your hesitation to acknowledge an honorary degree as it doesn’t represent study at the University. Nevertheless it does (at least in principle) represent a serious academic contribution and evidence of competence in a field. It is also a title that the University in question decides to bestow, so to some extent it’s between them and the individual. Celebrities aside, it is surely much harder to get an honorary doctorate than to get one by fitting in with the beaten path. I’ll see your Orlando Bloom and raise you a Dr. Benjamin Franklin. Josiah, I agree with you that the meaning of that verse goes beyond “father” and “leader.” However, it does not apply to credentials. I also agree that Christians should not flaunt their credentials. Indeed, we should flaunt nothing, since we are to be humble. Nevertheless, people do need to be informed of others’ credentials. “I’ll see your Orlando Bloom and raise you a Dr. Benjamin Franklin.” Lol! I take that to mean that Mr. Franklin received an honorary degree? I am not much on history. I would still not call him “Dr.”, then. I agree that he did great things, but that’s not what “Dr” means. It means a formal academic credential. While a university might choose to honor someone with a degree, that represents only the opinions of those in the university who hold such decision-making positions. Those opinions are not objective measures. If you earn a degree, there is a level of objective measure, and that earns you the credential. Without the objective measure, the credential doesn’t exist. People without earned degrees do great things, and people without honorary degrees do great things. However, none of them deserve a title that indicates a credential. They deserve respect and admiration, but not a title they did not earn. WOW! and WOW again. I literally stumbled across this blog, and I am amazed. No wonder so many non-Christians don’t want to become Christians. If we can’t show our own brothers and sisters love and consideration, why would anyone want to be a part of Christianity? I understand the depths of feeling here. Churches across the nation are struggling with their doctrine. Many Christians have no idea what they believe. They only know what they have been told. I was shocked when a retired pastor in my own denomination taught in Sunday School that Genesis was allegorical. He also admitted that he did not believe in Satan. These two beliefs were alarming to me, and if my denomination as a whole held those beliefs, I would have to find another denomination to belong to. While I was deeply disappointed to discover that the minister I respected held these controversial beliefs, I did not jump to the conclusion that he was not a Christian. I do believe, strongly, that he is incorrect, and I would not want him teaching these beliefs to my children, but I also believe, strongly, that he is a devoted Christian. If you could see his life work, you would agree. I’m going to leave the judgement of his beliefs to the One to whom it belongs – God. I believe there are some core issues that we as Christians cannot waiver on. Salvation through Christ being one of those. I have learned the hard way, however, that there are other issues that we have to agree to disagree on. We also have to agree to withold the enmity. Christ wants us to respond to everyone with love, right? Yes, He wants us to speak the truth, but to speak it in love. I am ashamed to admit that I have responded heatedly to others who have held views which opposed mine. I know deep in my heart that every time I have done so I have not represented my Saviour. It is hard, because I love the Word of God, and I want to defend it. As I get older, though, I learn to be content to focus on building up my own faith and doctrine. A living witness is much stronger than a talking head. I want my children to be unshakeable in their beliefs. I want the Word of God to take root in their souls. I know, however, that they cannot live in a bubble. They have to be able to defend their faith. But, no one will listen if they don’t defend with love and compassion. Krst, thank you so much for your comment. It is very insightful. Dr. Wile, I am a senior in high school. For the majority of the past four years I have used your science curriculum, and I have loved and respected you. But after I read this blog, I have to say my respect for you has gone down quite a bit. Now, don’t get me wrong, I agree that hearing other opinions is an important issue. But, I do not agree that Mr. Ham is wrong and that he’s being nasty toward Dr. Enns. My conviction is that Dr. Enns is wrong. If you take one part of the Bible out of context, you end up taking the entire Bible out of context. Mr. Ham is not being nasty, he’s simply defending the Truth. He is pointing out a wolf in sheep’s clothing, and I am grateful that someone is standing upon the Word of God and pointing this problem out. The first chapters of Genesis lay the foundation upon which our faith is built, and when you begin to question and contradict them them you may as well question and contradict that Christ died for our sins. Call me crazy, but I don’t believe that it’s ok to advocate and praise someone who doubts God’s ability and twists God’s Word. Carrie, I am sorry that you have lost respect for me, but I strive for the approval of God, not the approval of people. Thus, I take the Scriptures very seriously, and they clearly tell us how to deal with brothers and sisters with whom we disagree (Romans 14:1-9). They also clearly tell us that we are to examine everything, not just the things a certain person or group approves of (1 Thessalonians 5:19-21). You and I both agree that Dr. Enns is wrong. However, he is not a wolf in sheep’s clothing, and it is nasty to level a false charge at him. Dr. Enns is not questioning or contradicting Genesis. He is attempting to determine what it actually means. I think he is wrong in his determination, but he is neither questioning nor is he twisting Scripture. Regarding Carrie’s comment, wouldn’t it be better to pick the first chapter of John, or to be specific the person of Jesus Christ to be the foundation on which our faith is built? Throughout the new testament Jesus is referred to as the cornerstone and the foundation, never is Genesis referred to as such. I would like to know how you believe Ken Ham should have informed others of his belief that Dr Enns’ theology is incorrect and that he would be promoting that incorrect theology at the convention. Notice not only does Dr. Geisler not engage in name-calling or a false charge, he also stresses that there is nothing wrong with Dr. Enns’s view of inspiration. Owen, AiG believes that the only possible literal interpretation of the Genesis day is a 24-hour day. That is clearly not true. In fact, there are those who think the only possible literal interpretation of the Genesis day is an unspecified, long period of time. I believe that is wrong as well. I think that the best way to understand the Genesis day is a 24-hour day. However, it is clearly not the only literal interpretation. Indeed, there were many in the very early church who saw the days as not 24-hour days. Another example would be AiG’s insistence that there could not have been animal death before the Fall. At best, that is an extraBiblical notion. If true Scientists debate then Ken Ham and AiG should have spoken at the Midwest Homeschool Convention. I heard Ken Ham’s quote from the previous convention and I thought he was speaking the truth in love. He had a direct quote from Peter Enns. This was the first semester we used Apologia curriculum. I have huge reservations after reading your statements. I will never know what you believe or what you are hiding in the name of Christian Love. Pam, neither Ken Ham nor Peter Enns are scientists, so I am not sure how your comment applies. However, as the convention states, the problem was not Ken Ham’s view. It was his spirit. Indeed, they replaced him with Dr. Jonathan Sarfati, who has essentially the same view as Ken Ham. Obviously, they didn’t think he was speaking that view with love. I am not hiding anything. I am a young-earth creationist and believe that the Bible is the inerrant Word of God. However, I am unwilling to set myself up as the sole arbiter of Truth on such matters, and I therefore try to follow the Scriptures and respect my brothers and sisters in Christ, according to Romans 14:1-9. I am sorry that causes reservations for you, but I strive for God’s approval, not that of people. Who is a scientist and theologian and what qualifications do they need to speak or debate this issue? From the little that I’ve read about on the BioLogos website it seems that the lines blur. Evolutionary Scientist (Phd, I assumed earned) comment on Genesis and theology so therefore I think the issue is extremely important. I have a hard time believing that because I heard the tape on Ken Ham’s website. There was also a person that worked for Ken that said they spoke to Great Homeschool Conventions and said Ken would be addressing his concern at their conventions and they agreed that it would be appropriate. I think we see this from very different sides of the issue. I want to know where people – authors stand on these issues. As a 6 year Story of the World classical homeschool family these issues are very important to me and I think they should be discussed. As as strong Armenian I do not believe it is about Armenian- ism and Calvinism or Wesley and Calvinism. It is about training the next generation of Christian leaders to stand in the public square and give a defense of their faith in Jesus and his Word that will not return void. Pam, I agree that the issue is important, and I don’t mean to imply you need to be a scientist to comment on it. I was just confused by your usage of the term. You might not agree with Great Homeschool Conventions, but they certainly thought Mr. Ham expressed himself with an unkind spirit. He most certainly used an unkind spirit on his blog, calling Dr. Enns a name and leveling a false charge at him. Also, as I said, this has nothing to do with Mr. Ham’s view, as they replaced him with someone who has the same view. That someone even gave a talk entitled “Refuting Compromise,” in which he adamantly presented the incorrect view that the only literal interpretation of Genesis requires 24-hour days. The conference had no problem with that talk, at least as far as I could tell. I agree that you should know where authors stand on issues that are important to you. However, such discussions need to take place as Romans 14:1-9 tells us, not using name-calling and a false charge! From what I have seen of Enns’ material, it is merely a recycled version of tired, shop-worn ideas from Barth, Brunner, Bultmann. I am not an “evangelical” but it seems to me that giving the floor to Enns yields the Young Earth premise. Perhaps ken Ham is an evil, vicious man. Yet his critique of Enns was quite temperate. It is also curious that Enns has an interest, albeit indirect, in speaking at these conferences, i.e. the sale of the Bauer Curriculum. Further, it is unexplained why Bauer does not use Enns’ surname. I read somewhere that she was a home-school “guru”, but I have never heard or her before. In addition, doen’t Enns receive funding from the Templeton Foundation? What are the theological bona fides of this Foundation? In the final analysis, if one yields the premise, one loses the argument. This is a matter of logic. No amount of academic qualification can ever change this basic principle of argument. Keith, no one is even implying that Mr. Ham is an “evil, vicious man.” Indeed, I have commented several times that he is a man of God who loves the Word. Unfortunately, he critiqued Dr. Enns with name-calling and a false charge. That is not appropriate in any Christian forum. I am not sure what you mean to imply with Dr. Enns’s interest in speaking at the convention. Virtually everyone who speaks at these conventions has an interest. I have a science curriculum, Dr. Bauer has a curriculum, Mr. Ham has a whole series of books that are purchased by homeschoolers! If you removed all speakers who have something to sell to homeschoolers, there would not be hardly any speakers at the convention. I am not sure why you think Dr. Bauer should use Dr. Enns’s surname. Dr. Bauer uses the surname of her husband, Peter Bauer, who has a Masters of Divinity and is a pastor. Peter Bauer is not Dr. Peter Enns. Dr. Enns is a senior fellow at BioLogos, and Biologos receives funding from the Templeton Foundation. However, the theological bona fides are not relevant, since the Convention strives to meet the needs of all Christian homeschoolers, not just the ones who pass some theological purity test. Accepting the fact that other godly Christians who love the Word interpret it differently from you is not “yielding the premise.” It is following Romans 14:1-9. I stand corrected on the Enns-Bauer relationship. It derived from some faulty information I received from another forum. I thus extend my apologies to all concerned. As far as the issue of having a pecuniary interest in the Conference, I was not aware that this was typical. Although we have used home education exclusively with our five children, I have never attended a Home-school conference. This controversy appears to have gotten heated, and thus has attracted the attention of home-schoolers who are not part of the evangelical milieu. Apologies to anyone I have offended. My concern about yielding the premise is not based merely in logic, although I believe logic precedes science in the sense that if one cannot reason, it is impossible to understand empirical data. Historically, the decline of the so-called mainline churches was preceded by a denial of the historicity of, inter alia, Adam and Eve. Thus it is not a new controversy. I believe that in a sense a collective memory of this decline fuels the current controversy. Major denominations affirm that Adam and Eve were historical individuals. I am thinking of the LCMS, ELS and WELS. It appears that Enns is saying they are wrong. From an early age Confessional Lutherans are taught to be suspicious of pietists and the Reformed. What would you say to them? I know that to many Baptists, Pentecostals and others Lutherans are not “Godly Christians”, yet surely evangelicals would acknowledge that Lutherans have worked hard in the field of Creationism (i.e. Alfred Rehwinkel) and have maintained a firm Creationist stance despite many pressures. Are the Confessional Lutherans wrong? I suppose that at this conference it is not necessary to have doctrinal unity, accordingly Templeton and Bio Logos are accepted. I apologize if I have misunderstood this. Of course a good effect of this controversy is that it helps parents know which curricula to purchase and which to steer clear of. Keith, I most certainly don’t think the Confessional Lutherans are wrong to hold to a firm creationist stance. I hold to a firm creationist stance! Indeed, I am probably more firm than most evangelicals, because I believe in 24-hour Genesis days and a young earth. That’s not the issue. The issue is how Christians are supposed to deal with other Christians with whom they disagree. According to Romans 14:1-9, it is not with name-calling or a false charge. Given that the convention was made to minister to all Christian homeschoolers, not just the ones that meet some theological purity test, it is important to keep that Scriptural imperative in mind! I certainly appreciate your willingness to answer my questions. I am not sure why I weighed in on this Ham v. Enns issue at all, except that it seemed to represent a recurrence of theological issues of the past. Really, it isn’t a battle for Lutherans and other confessional protestants at all, but rather an inter-family conflict amongst those in the Pietist/Baptist/Reformed world. So it is really none of my concern. Thus I will return to Luther, Mueller, Walther and Gerhard, and of course old Rehwinkel. I think we are truly, as Luther said once, of a different spirit than you. This makes me sad, but if it couldn’t be reconciled during the reformation, it is surely silly to believe it can be now. I came to your blog because we are using, quite profitably, one of your textbooks in teaching our children science. Thank you for your hard work on this text. It is a blessing. May the Peace of the Lord rest upon you. Thanks for your kind words regarding my book, Keith. I agree that this is a recurrence of the past. Indeed, even the earliest church fathers were not in agreement on the creation account, which is why I consider it patently absurd to think that we can suddenly state for certain what the creation account means. I truly hope we are not of different spirits. Certainly different theologies, but not different spirits! Thank you, Tahara. I do think there are a lot of Christians who think this way, because there are a lot of Christians who take passages like Romans 14:1-9 very seriously. How can you say 2 differing views are Biblical? If one is Biblical then the other is not. If one view is scriptural, then the other is unscriptural. There is no getting around that. I can understand if someone says they do not know which is correct, until they study the Word more, but they would still obviously understand that both opposing views could not be scriptural. Mrs. D, two differening views are both Biblical if they are both consistent with the Bible. They can be different and Biblical at the same time if the Bible can be interpreted different ways on the issue. For example, while I am an Arminianist, I would not call Calvinsists unBiblical, because the Bible can be interpreted in a way consistent with Calvinism. Now, of course, two differing views cannot both be true. Thus, even though different positions can be Biblical, they cannot both be true. As a result, we must believe the one we think has the most Biblical support. At the same time, however, we must be humble enough to realize that our interpretation of the Bible can be flawed and, as a result, our interpretation of the Bible is not equal to the Truth. Dr. Wile, I have almost completed three of your science books and have learned alot, but I respectfully disagree with you on this matter. We cannot misinterpret the Bible on accident, the Holy Spirit will make sure we understand God’s Word correctly. I don’t believe it is arrogant to say, I know how the earth was created and that Jesus rose again. It says it in the Bible and that is what the Holy Spirit tells me. If what I believe is true, than all other interpretations are false. I don’t claim to be correct on all Biblical matters, but Genesis is a huge foundation and we need to be unanimous! I had the pleasure of hearing Mr. Ham speak at the AiG Family Apologetics Conference last summer. I enjoyed four of your lectures at the Southest Homeschool Conference, where I also heard Dr. Enns. I agreed and disagreed with some of the things Dr. Enns said. Mr. Ham stated in his blog that Dr. Enns had fallen away from the truth, and that we need to pray for him. Mr. Ham rebuked a fellow Christian gently, but to the point, which is what the Bible tells us to do. Kate, thank you for your comment, but I will have to disagree with you. The church has never been unanimous on Genesis, so there is no reason to think it will suddenly become unanimous now. In addition, the very fact that the church has been unanimous on the major doctrines of Christianity and not on Genesis demonstrates that the interpretation of Genesis is not foundational. If it were, there would not have been such disagreement on it throughout the history of Christendom. In addition, Mr. Ham did not gently rebuke Dr. Enns. He called him an unwarranted name and leveled a false charge. That is not only far from gentle, it is far from proper. We need to pray for all concerned in this matter. I admire your courage, humility, and gentleness, Dr. Wile. Very much. Thank you for demonstrating a deep commitment to truth and honest inquiry–for without honest inquiry there is no discovering truth. I want to address the larger issue here, relative to the approach to the origins debate taken by Mr. Ham and some other advocates of creation science. Let me note the title of a recent book by Jonathan Sarfati: Refuting Compromise: A Biblical and Scientific Refutation of “Progressive Creationism” (Billions of Years) As Popularized by Astronomer Hugh Ross. The quotations and the parentheses are in the lengthy subtitle as given. In this particular book, as in Mr. Ham’s comments about Dr. Enns, the word “compromise” or “compromiser” is of course meant to be a pejorative, not a compliment. Although I don’t share Dr. Ross’s particular approach to interpreting Genesis (he advocates the “day-age” view), there can be no doubt that Dr. Ross’ many books and videos have been very helpful to many Christians who want to understand science better, especially as it relates to the Bible. His apologetics ministry, Reasons to Believe, is IMO a much better resource for lay Christians (by which I mean those who do not have strong backgrounds in science) than any of Mr. Ham’s web sites. And, his love for God and the church are sincere and strong. A few years ago, when Dr. Sarfati’s book was published, it was part of a larger assault on Dr. Ross’s views by individuals who regard Dr. Ross as yet another “wolf in sheep’s clothing,” to borrow an oft-used phrase that has been repeated on this thread. This is simply a ridiculous charge to make, and IMO only reflects poorly on those who make it. Let’s try a little thought experiment, to see how unhelpful this label really is. I used to hear Dr. R. C. Sproul lecture several times every year at various conferences. At that point, he was an “old earth” creationist. A number of years ago, Dr. Sproul changed his mind and endorsed “young earth” creationism. So, let me ask this: at what point did Dr. Sproul cease to be a “compromiser”? Was it the day he came out for the YEC position? the day before? the day before that? If his views prior to that point were in all other respects identical to his views after that point, then did changing his opinion on the age of the earth ipso facto make him suddenly no longer a “compromiser”? Dr. Ham believes that a major cause of the faith crisis that inflicts a large number of Christian young people, once they leave home and go to college, is having so many churches that don’t teach “young earth” creationism. Well, I do wonder about that. He seems to think that, if all of the churches stayed strictly with “young earth” teachings, then the youth would be less inclined to wander away later on. He does not seem to consider the possibility that it might be a good idea to teach young people *without disapproval or charges of “compromising”* about several of the many interpretations that Christians have held about creation passages, in order to *avoid* giving them the idea that it must be Mr. Ham’s way or the devil’s way. When you give people a single box and the facts won’t fit into it, you’re only encouraging them to drop that box. And, if that’s the only box they know of, their faith is likely to go along with it. Excellent comment, Ted. Thank you for taking the time to write it! I hope this is helpful for many families. Thanks so much for your post. This is the most balanced and best I have read on the current controversy.